TYCO ELECTRONICS (MALAYSIA) SDN BHD is Hiring!! Solutions that power electric vehicles, aircraft, digital factories, and smart homes. Innovation that enables life-saving medical care, sustainable communities, efficient utility networks, and the global communications infrastructure. For more than 75 years, we have partnered with customers to produce highly engineered connectivity and sensing products that make a connected world possible. Our focus on reliability and durability, our commitment to progress, and the unmatched range of our product portfolio enable companies large and small to turn ideas into technology that can transform how the world works and lives tomorrow. 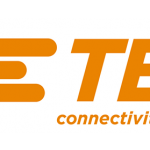 Join Our TE Connectivity Talent Community! #UnleashedatTE! Product Information Associate as the key contact person to support customers’ inquiries about TE and specific acquired products. The position will have direct responsibilities for public customers and distributors in APAC except Japan, located in Penang and focus on offering technical support, solution making and follow up customers to generate leads and convert to sales revenue. Establish and engage customer relationships via email, phone and chat; approach Extraordinary Customer Experience (ECE) with each interaction with customers and promote TE business by consistent and high-level product service. Customer inquiries may encompass, but not be limited to, replacement part numbers for obsolete or superseded parts, competitive, customer and military part number crosses to TE Connectivity part numbers, UL/CSA approval information. 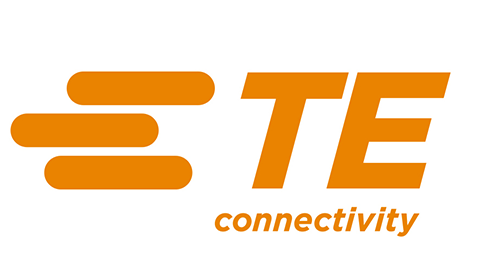 Recommendations for TE Connectivity’s product for specific customer applications, sample request. Support lead discovery, nurturing leads, warm lead transfer and to convert into company sales revenue generation. Strong communication skills to support customers from varies countries in AP with fluent Simplified Mandarin & English speaking (a must) and written skill. Bachelor’s Degree in Engineering / Science. Fresh graduates with engineering background are encouraged to apply. Candidate with Degree in other major but with General Science (Science Stream in high school) are encouraged to apply. Language: Good in oral and written in Simplified Chinese (mandatory) and English Language. Candidates with 1-2 years working experiences / industry experience like industrial / appliance / Datacom / Consumer as product support or customer support role is a plus. Strong customer service awareness and responsibility. Pro-active and strong communication and coordination skills. Other competencies like time arrangement and drive for results. CES-Customer Effort Score, outside survey results. FCR-First Contact Resolutions Rate. Outside survey results. Efficiency-Case closed within 8 hours. Attractive compensation (ie: medical outpatient, insurance coverage, long service award, Education Assistance Program and etc), 13th month & Performance Bonus, Yearly Salary Increment, opportunities for Career Enhancement in within TE.